Garage, Shop and Basement Floors. Complete Garage Packages, Sales and Installation. Residential, Commercial and Industrial Installations. Over 37 Years of Experience. Fully bonded, licenced and insured. Customer references are available. YERYK CONCRETE FINISHING is a recognized leader and active member in the CONCRETE CONTRACTORS industry, and we have every right to be proud of this fact. The driving force behind our reputation is our energetic team of skilled trades people and professionals, who have invested a lot of time and energy in the development of our business here in Winnipeg. We place primary importance on the personal and professional development of each of them, and we try to give our employees every opportunity to better themselves. At Yeryk Concrete Finishing, our goal is to leave a lasting impression on every project we take on, with quality craftsmanship that will enhance the beauty of your home and increase its value. No matter how big or how small your project is, we will deliver the results you expect. We are all about concrete. We do residential, commercial and industrial installations. No job is too big or too small, and we use only the best materials possible. Why Concrete? It simply lasts. 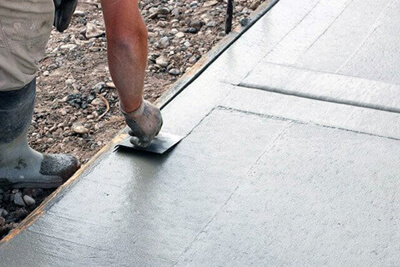 Concrete is very easy to maintain and is durable and safe. 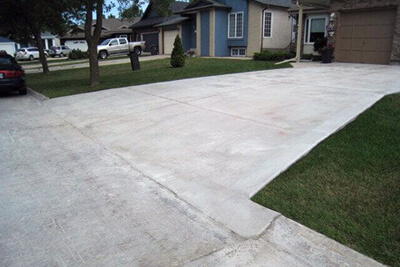 Concrete driveways, sidewalks, and pads will provide you with decades of trouble-free use. It is the best construction material for both strength and durability. Concrete will withstand the extreme weather conditions of Manitoba better than any other building material. Concrete is never affected by mold, and best of all it’s environmentally friendly. Professional residential, commercial and industrial concrete installation services are available for driveways, sidewalks, parking pads, patios, garage, basement and shop floors, hydronic heating systems, approaches, complete garage packages, concrete hardeners and colours. 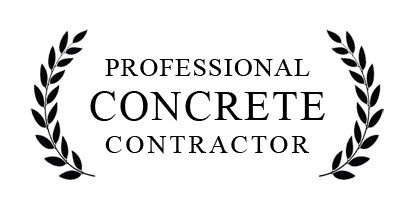 You are already here, the best concrete contractor in the business. Excavate as required and haul away all fill, vegetation, bricks, large rocks and other loose material. Supply limestone and install a 6 to 8″ base. 95% compaction, with a 1,000 lb diesel plate. Supply 10mm rebar, installed on 16″ centres. Supply commercial grade 5,000 PSI (pounds per square inch) (35 MPa megapascal) 5‑7% air‑entrained concrete. Driveways 6″ thickness. Sidewalks 4″ thickness. Saw cutting for driveways every 8’, and sidewalks every 6’. Supply the City of Winnipeg permits and inspection. Clean up, garbage and waste removal. We offer free estimates and quotations for your concrete projects. A comprehensive installation plan and a timeline will be discussed with the customer for the best-desired look, and consider any transition areas. Review any other services that may be required. 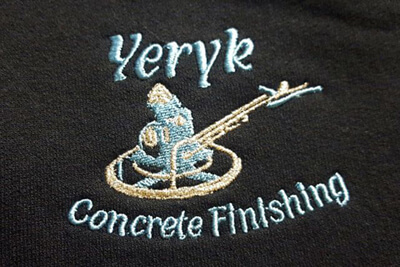 Contact Yeryk Concrete Finishing at 204‑782‑8745, or 204‑222‑4423. Privacy statement. We respect and am fully committed to protecting the privacy and confidentiality of all your information. We will never sell, rent, lease, transfer, give away or otherwise share or distribute any information. All information is for my private internal use only. This website does not deploy or utilize cookies of any type. Installing a new concrete driveway will improve the curb appeal of your home, increase property value, and make snow removal easier in the winter. Having a brand new concrete driveway, sidewalk and walking paths will improve curb appeal, attract potential buyers and increase your home's resale value. A good first impression can add 5 to 10 percent to the value of your home. 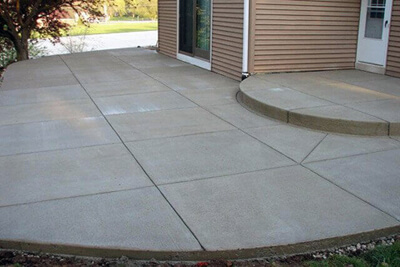 Concrete adds a smooth polish to driveways, and a sleek contemporary look to your home’s exterior. Think about it, your driveway and walkways lead potential buyers to your home ․․․ if yours is in total disrepair you’re not making a good first impression. Snow removal is a huge chore and a reality for Manitoba homeowners. There is nothing worse than trying to shovel a gravel driveway or having your shovel caught up in bumpy asphalt. A smooth concrete driveway makes for an easier shoveling job and creates a better surface for removing snow. See what an expert concrete contractor can do for you!